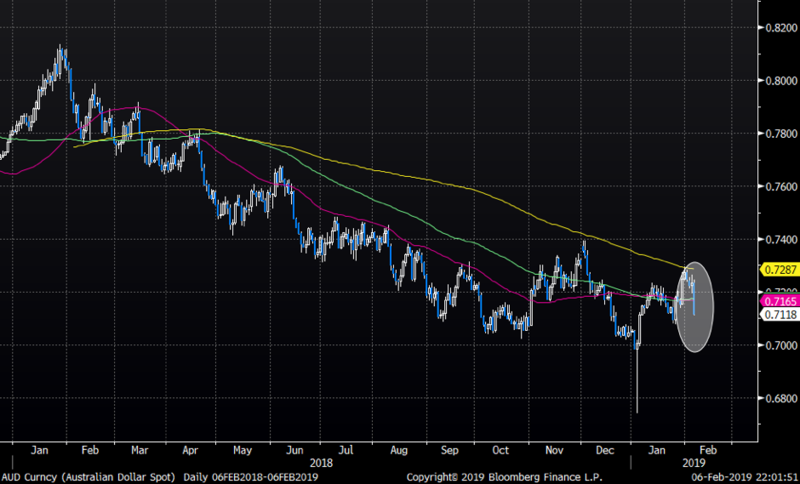 AUD – Canary in the Coalmine? Another day with relatively boring equity markets, but some assets are moving and receiving zero attention from (equity) investors. The AUD, still a relevant macro indicator and a good proxy of what is going on in China, took a big leg lower today. The awful trend continues. Note how the AUD (white) moves in tandem with the FXI US (orange). Recently the gap is widening violently. 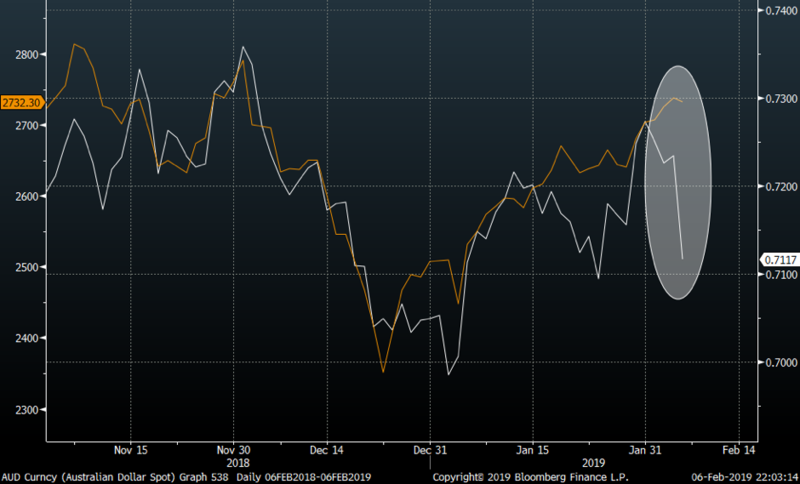 The AUD (white) versus the SPX (orange) chart since early November. 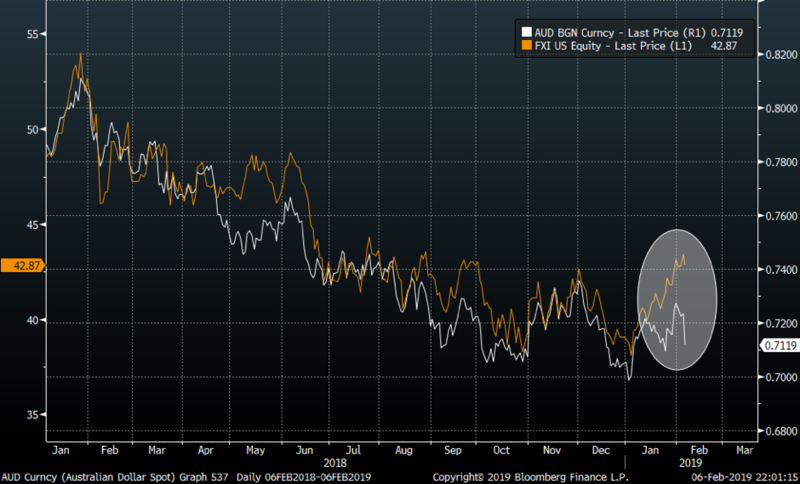 The AUD move should be a bit disturbing to the equity bulls here. The US/China Trade talks and a slowing Chinese economy is still an unresolved topic and is according to most strategist the top risk for 2019, the known unknown. 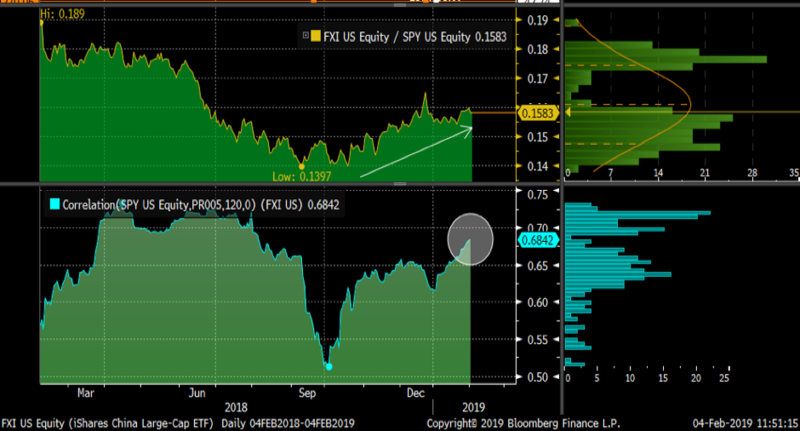 Interestingly enough the correlation between the SPY and the FXI has shot up higher since last autumn. It seems China´s “problems” are not only China´s. The corresponding chart shows how correlation between the two has shot up recently. Could the AUD be the first small canary in the coalmine suggesting the recent equity squeeze is about to fade?